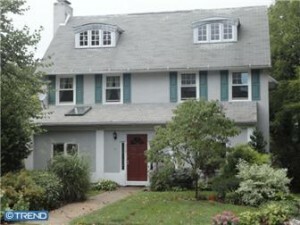 Charming 5 bedroom, 2.5 bath colonial located in most desirable Merion Golf Manor neighborhood. 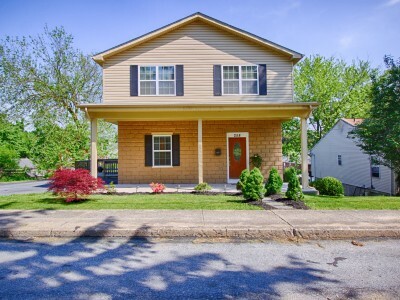 Hardwood floors, deep moldings, glass doorknobs and many other original features throughout. Beautiful mantled wood burning fireplace in living room. Dining room with chair rail and French doors opening to a spacious sun room with skylights and tiled floor. Eat-in kitchen with new granite counter tops, pocket doored pantry and powder room complete the first floor. Bright, roomy master bedroom with wood burning mantled fireplace. Private backyard with flagstone patio and natural gas grill. 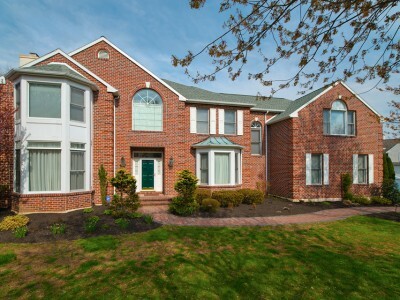 Convenient to shopping,Blue Route,public transportation, schools and restaurants.Great house to entertain and enjoy the 2013 U.S. Open at Merion. New neighborhood YMCA scheduled to open in June, 2013 within walking distance. Add 300 square feet for third floor not included in public records square footage. A must see inside.